SLAP (SoundLab Asia Pacific) Residency is a program brought to you in partnership with Modern Sky Festival Helsinki, Detour Asia, The Dusun and Border Movement (see below for more info about the partners). SLAP aims to encourage an ongoing intercultural dialogue by promoting creative exchange amoung music scenes from Asia Pacific and Europe. The first edition of SLAP will take the shape of a 5 day residency in March 2017 at luxury Malaysian tropical jungle resort The Dusun. Participants will be invited to take part in a tailored residency program that will see the artist meet and collaborate with local musicians and producers, undertake production master classes, interact with local labels and music businesses and get the opportunity to play gigs in Asia. Each residency will be shaped around the individual needs of each successful applicant creating a unique residency opportunity. Accommodation, food and production costs for the project will be covered by the residency. We will also assist with travel funding applications making this an all expenses paid residency. The SLAP residency will be documented and presented on www.bordermovement.com and social media channels which will feature regular articles, visual diaries and posts by the artist and local writers. Applicants must be between 18 – 40 years old during the residency dates. Applicants are required to be residents of Finland. SLAP encourages musicians from all backgrounds and genres to apply. Applicants are not required to have had any formal training and we are especially interested in musicians who double up as promoters, bookers, label owners, bloggers, journalists, writers, instrument builders, videographers, musicologists and educators. 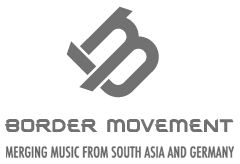 Download SLAP application form here and send via e-mail to: slap@bordermovement.com . Approx. one month after the start of the call for applications. Just digital (download the application form here, complete it and email to slap@bordermovement.com). What costs do participants have to cover for SLAP? We will assist with travel funding applications making this an all expenses paid residency. Will SLAP residency participants need to get visas for Malaysia? Malaysia has a visa on arrival system in place, free of charge. Is the SLAP residency only for artists who make electronic music? The SLAP residency is open for artists who make fresh and unique music away from the mainstream. It can be any genre, ‘electronic’ means for us, that the music was recorded digitally and produced in-house. We will only accept streamable links. How many songs can I include in the demo? A jury consisting of one person from from Modern Sky Helsinki, Border Movement, Detour Asia and the Dusun will carefully look at the applications and come to a majority decision. 5 days plus. The weekend before and after is reserved for some live gigs. We can’t promise any gigs, but that’s the plan.